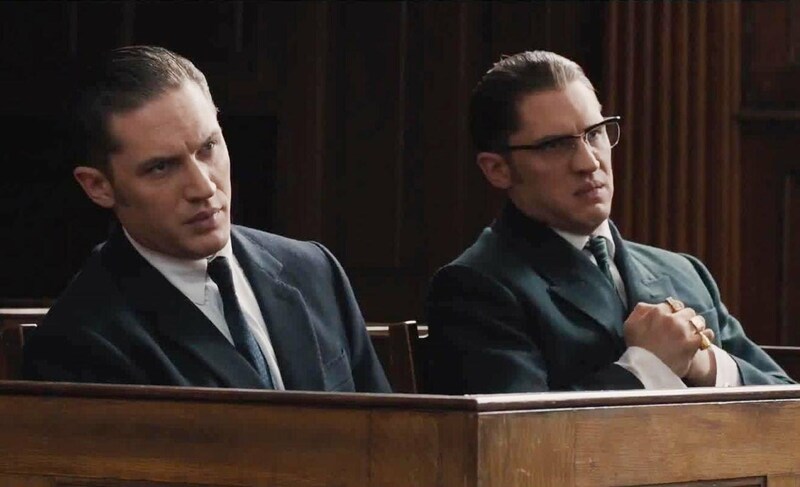 Based on the book, The Profession of Violence: The Rise and Fall of the Kray Twins by John Pearson, Legend explores the lives of notorious British gangster twins, Ronald and Reginald Kray (both played by Tom Hardy). Narrated by Reggie's wife, Frances, this story tells the tale of the gruesome events detailing the peak and pit of their careers and finally their incarceration for life in 1969. 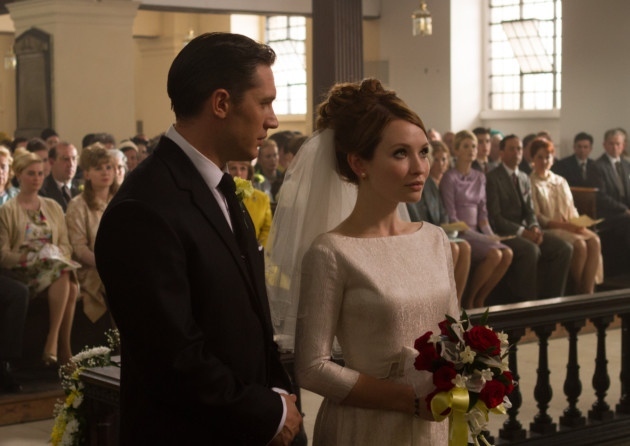 Beautifully shot and stylised, comes a long-awaited biopic by Brian Helgeland. 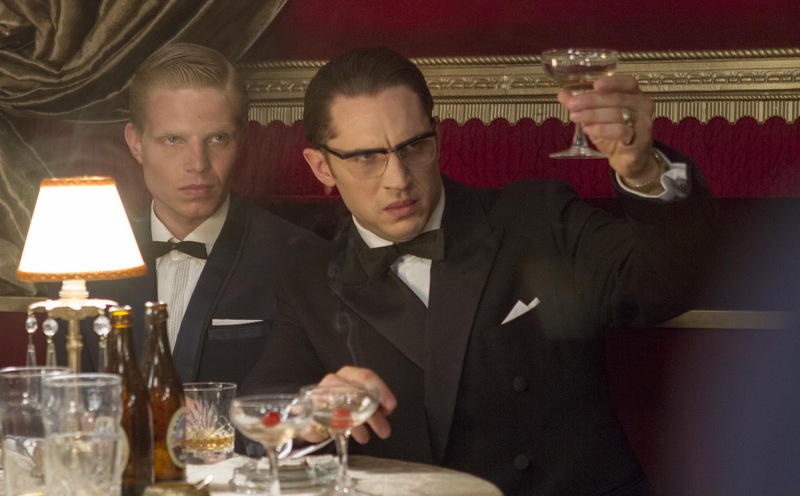 It's the swinging sixties in London and the Kray brothers, Ronnie and Reggie, own the town. 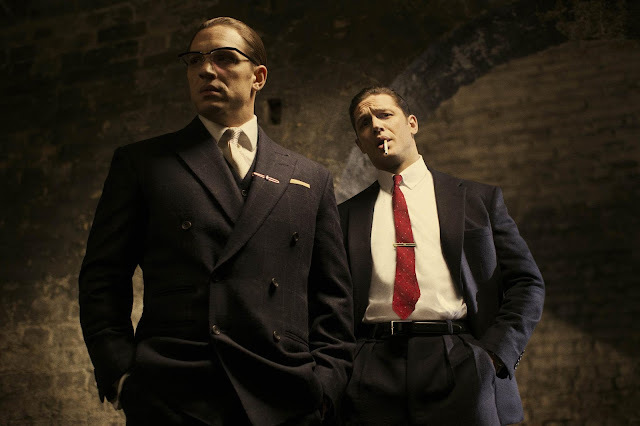 Using a popular nightclub and celebrity hangout in Bethnal Green as their cover, the Kray's triggered a crime wave across London - terrorizing rival gangs or anyone who would stand in their way. The narrative, however, focuses less on the crimes and gore, as such, but centers itself on the relationship between the twins. Bound by blood, Ronnie and Reggie's unconditional loyalty stands at the forefront of their business ethic yet Ronnie's paranoid schizophrenia and violent episodes are damaging to their reputation and safety. Immediately in to the film, we meet Reggie's love interest and our narrator, Frances (Emily Browning). Told also from her disapproving perspective, we see not only the rise and fall of crime lords, but the breakdown of a marriage. At times, the film becomes more about the affects the Kray's left behind and in particular, the toll the relationship with the Kray's had on Frances. Having met him aged only 16 years old, disliked by her psychopathic brother-in-law, their parents and constantly under scrutiny from her own family, joining a famous gangster family soon wears away at a fragile girl. This is an interesting and powerful dynamic and proves excellent writing at the hands of Helgeland. This falls down ever so slightly, however, with the semi-conviction of Browning's performance which is rather forgettable. Despite a few darker scenes, Legend features as much humour as there is violence. In many ways, it appears as a film of two halves - The Boat That Rocked (Richard Curtis, 2009) meets Gangster No.1 (Paul McGuigan, 2000). Being a film about the Kray's, you might expect extreme and unsettling violence as seen in previous dramatisations of the twins' lives. On the contrary, Legend starts out relatively tame and light-hearted, with the pair's banter and 'lad-ish' charm primary to its charisma. This even goes as far to make humour of Ronnie’s strange rantings and sayings caused by his mental illness. As their success peaks and their business deteriorates, the British grit is more evident. The only downside of this, however, is that the film seems to lack continuity. It is as if it was created by two different directors entirely with some slower, less engaging scenes in the middle to bind it. Ultimately, Legend is an entertaining and worthy piece of British cinema. Hardy is outstanding as both lead roles, though the effects used to have them in the same shot are sometimes a little sketchy. Despite a few dips in the narrative along the way and arguably more style than substance, Legend gets a Sophie star rating of 3.5 out of 5 stars. A film, I’m sure, Tom Hardy is proud to have on his CV. Will you be seeing Legend? Legend is in cinemas on 11th September. I jumped at the chance when I was invited to attend the press screening for this. I am a huge Tom Hardy fan and I never expected that he would be there (or the free bar also!). Some of you may have seen already but The Evening Standard actually shared my video of the evening (you can watch it here). He bought his dog with him! it was a great evening and I feel very lucky to have been in attendance. Great Review! Maybe you want to looking about my blog? Wow! 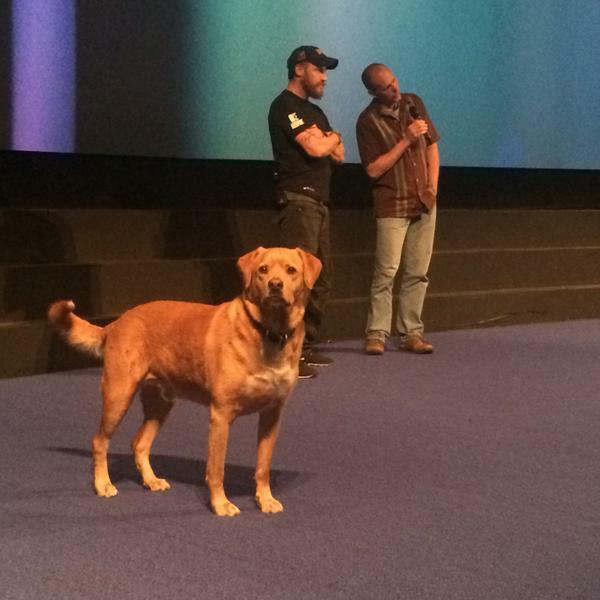 So cool you got to go and see the press screening! 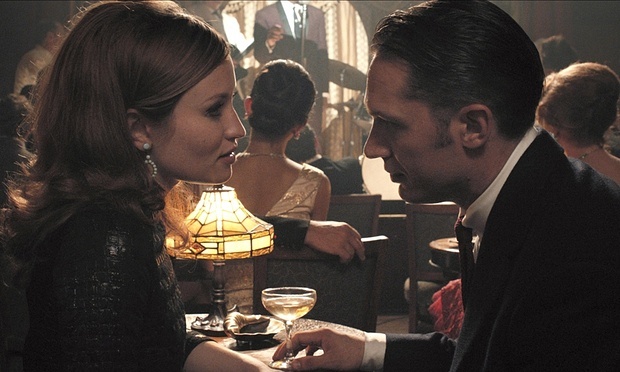 Love Tom Hardy and Emily Browning! I'm really excited for this, Sophie! IMDb shows October 2 as the release date for the US so it'll be a while before I can see it :( But I'm very happy for you getting these advanced screenings. And congratulations on your sub count on youtube!